Manchester, N.H. – Cory Ward’s 9th goal of the season was a dramatic one. Cory, from Las Vegas, had a late-game goal to help the ECHL Manchester Monarchs beat the Maine Mariners 3-2 in a New Year’s Eve game at the SNHU Arena. Cory is plus 9 on the ice this season for Manchester. Michael McNicholas of Las Vegas had an assist for the Mariners. Michael has 11 goals, 18 assists this season. Outside the arena tonight it was a freezing 17 degrees during the game. There are a record-breaking number of readers today on Vegas Hockey mostly from the USA, Canada and including Austria, Ireland, Germany, Mexico, Switzerland and the United Kingdom to take a look at the 2018 Vegas Hockey Awards leading story today. This has been a great year on our hometown hockey website. We want to thank our star writer Bethany Drysdale and all of those who have contributed throughout the year. West Valley City, Utah – Zach Pochiro of Las Vegas scored his 17th goal of the season and then dealt an assist to help the ECHL Allen Americans of Texas beat the Utah Grizzlies 4-2 at the Maverik Center. Zach’s 17 goals leads all Las Vegas goal scorers away from home this season. Zach is 24 and is listed at 6’1, 185. Your votes are in the house here at Vegas Hockey. We will announce the 2018 Vegas Hockey Awards tomorrow on New Year’s Eve. Winners to be announced were determined by a vote from you, dear readers of this site. “Disciplined hockey is winning hockey.” — Wally LaCroix, head coach, AA Vegas Jr Golden Knights 16u. 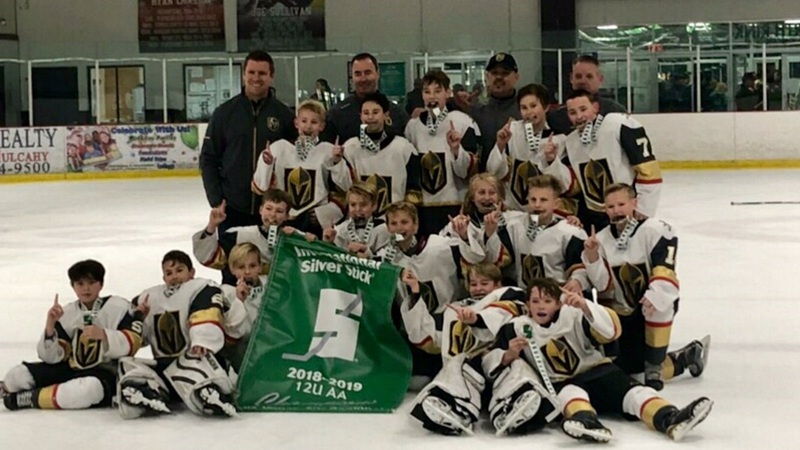 Las Vegas – The Wally Lacroix-coached AA Vegas Jr Golden Knights took a ride to the Sunday gold medal the hard way here at City National Arena last night. Vegas won 2-0 after fending off a physical showdown against the AA Utah Golden Eagles 16u who had a very crowded penalty box during this ultra-heated game. The win for the AA Vegas Jr Golden Knights 16u gives them a 3-0-0 record here during this super-chilled weekend and guess what – a rematch with the very same Utah Golden Eagles will be right here on Sunday 11:35 am. The winner gets gold — the Vegas Confetti Tournament gold medal. Vegas goalie Zackary Ortolano, who had two shutouts in this tournament, didn’t get caught up in the hurricane of physical activity at center ice and in those dark corners of the arena. And neither did Vegas goal scorers William Jacob and JJ Williamson who zoomed around the big ice arena. The LaCroix-coached Jr Golden Knights have a certain blueprint to set up their defensive schemes and offensively as well on their precise attack runs. And all of this good stuff is happening without two of the Jr Golden Knights top players including star defenseman Trent Carter who is not available this weekend. From the Blue Line – Somehow, someway Ortolano kept his temperature on low flame while hot physical action took place pretty close to the net…Your best players – like Vegas goal scorer Ian Williams – play best in the biggest of games and Ian did all of that….Vegas defensemen Sean Kedra and Ethan Parsons sure worked well together – they were awesome to track during the game while moving high-speed pucks to their forwards on outside lanes…..If you take your time and watch carefully, LaCroix has a defensive system which totally protects the net – take a hard look where his defensemen and other key players are stationed during the big Gold Medal game here Sunday…Maybe it’s just me – but the officiating in all of these games has been great – not sure who to thank…. Las Vegas – Wally Lacroix’ AA Vegas Jr Golden Knights 16u won again – this time 3-1 over the Boulder Hockey Club of Superior, Colorado here at the City National Arena. Boulder HC worked hard and had a much better skillset and skate speed than the Cal Wave in an opening round game in the Vegas Confetti Tournament. Hometown stars Jacob Underhill, Ian Williams and JJ Williamson scored the goals and the Golden Knights 16u got a great game and effort from Heath Mensch and William Jacob who were all over the ice making tricky effective plays here at the City National Arena before a big crowd on late Saturday afternoon. Colton Miller was very strong in the net for the Vegas Jr Knights who return to action tonight – Saturday – against the AA Utah Golden Eagles 16u at 6:50 pm. 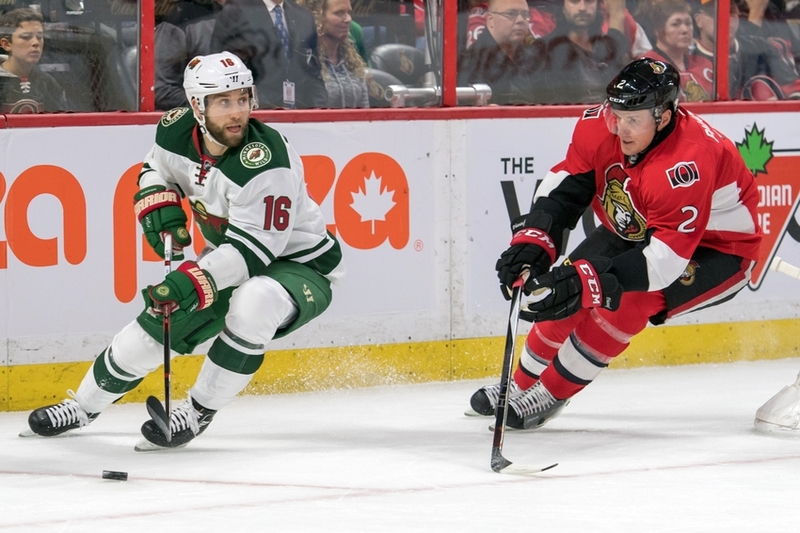 From the Blue Line – Vegas defenseman Ethan Parsons feathered some nice passes up the sideboards – and he battled through traffic to it effectively….JJ Williamson snapped off some very hard shots – once he gets near the net he’s extremely dangerous…. JOURNEY TO THE QUEBEC INTERNATIONAL TOURNAMENT! The Nationally ranked Vegas Jr. Golden Knights Peewee 12AA Team has been invited to the 60th Quebec International Peewee Tournament held February 13-24, 2019. Many current and former NHL players played in this tournament when they were 11 and 12 years old. This tournament will change many of the boys’ lives for the better and create life long friends and memories. They will have a chance to be seen on an international stage by people from all over the world. They have done their part in earning this spot, but now we need your help getting them there. We are asking for you to help these boys attend this prestigious tournament. Any donation amount will support the team in their quest from $5 to $5,000. Let’s show these kids they have support and invest in their future.